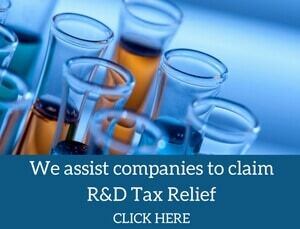 Our free consultation will help you understand how you and your company can benefit from R&D Tax Relief. 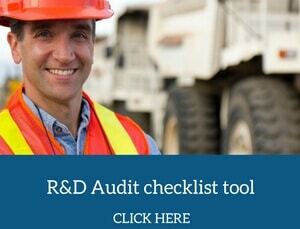 100% independent: We only prepare R&D tax claims. 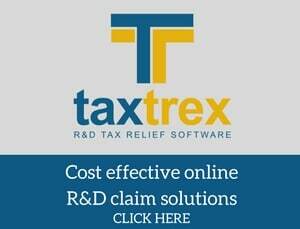 So What IS the R&D Tax Credit? Historically, the Research and Development Tax Credit was formed by HMRC to encourage firms in the UK to undertake more projects which can advance knowledge in science and technology. However, as of 2016, HRMC reported that only approximately 3 per cent of eligible firms actually make Research and Development Tax Credit claims. This equates to less than £1 billion of relief against more than £25 billion spent on research and development (R&D) in the UK. 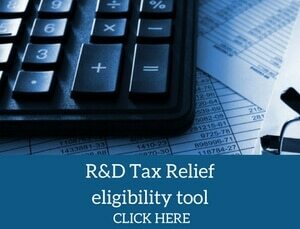 Primarily, this is due to many businesses mistakenly believing they do not qualify for R&D tax credits, therefore, we’ve fragmented and clarified the elements of eligibility. To begin with, under the R&D tax credits scheme, a company involved in qualifying R&D activities can either reduce the amount of tax it pays or provide a cash sum upfront. 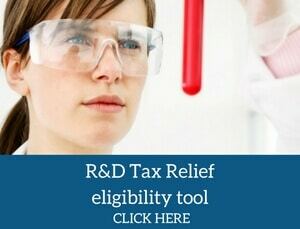 The size of your business will ultimately define which R&D Tax Credits you are eligible for and how much you can claim. Nonetheless, every business registered in England and Wales is eligible to claim either the Small and Medium-sized Enterprises (SMEs’) R&D tax relief scheme or the Large Company R&D tax relief scheme provided they are undertaking eligible R&D activities. The work constituting ‘eligible activities’ for R and D Tax Credits purposes is widespread and diverse, but all qualifying projects follow a similar configuration – the project needs to be seeking a technological advance and have a component of uncertainty (requiring ‘trial and error’). In essence, if you are a firm who is creating new or improved products or services – and the development involves investing in a degree of experimentation or prototyping (whether it fails or not) – there’s a high likelihood you may be eligible for R and D Tax Credits. 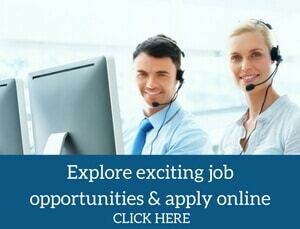 Therefore, at the very least, companies should be enquiring or asking questions about their eligibility. Enhancing existing products or technologies. Essentially, if your company is taking a risk by innovating, improving or developing a process, product or service, then there is a high chance you will qualify for R and D Tax Credits. How much is a R&D tax credit worth? Therefore, if you owe a minor amount of Corporation Tax or even none, the Research and Development Tax Credit can still provide you with cash in exchange for yielding some of the tax loss that has been generated. For SMEs, from 1 April 2015, the R and D tax credits claim enhancement (the enhanced deduction) was increased to 230% of the qualifying R&D expenditure incurred. Thus, if an SME has an expenditure of £100,000 on qualifying R&D, it can subtract £230,000 when calculating its taxable profit, or loss, for Corporation Tax purposes. Since the £100,000 would previously be accounted for in its accounts, the balance of £130,000 would be a further deduction from its taxable profit and the corporation tax saving would be £26,000 (at a corporation tax rate of 20%). While both profitable and loss-making SMEs can choose to condense the amount of Corporation Tax they pay, a loss-making SME can realise a cash benefit of as much as 33.35p for every £1 they spend on R&D, in contrast to up to 26p per £1 spent by a profitable business. Undeniably, R&D tax credits are an increasingly multifaceted and ever-changing topic but can be a fundamental source of funding for SMEs at a vital point in their development. Overall, by capitalising on the opportunities that the Research and Development Tax Credit offers, companies can produce generous tax savings, including generating cash for their past and future investments or developments. If you would like to discuss R&D Tax Credits further, please do not hesitate to contact one of Swanson Reed’s offices. Swanson Reed has a broad range of experience assisting a vast range of industries and company sizes should you need any advice on the steps to take.